Marco has found the perfect girl in Divina. Though they've only spoken on the phone, they're convinced they're meant to be together. One problem: Divina's living. Moments of Love is a 2006 Filipino romance film directed by Mark Reyes, and released in March as a summer offering by GMA Films. It is a classic romantic tale between two people from different timelines. 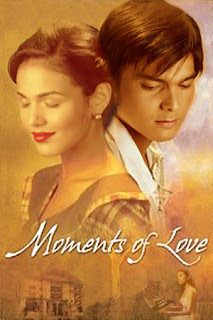 The film stars Dingdong Dantes, Iza Calzado and Karylle. 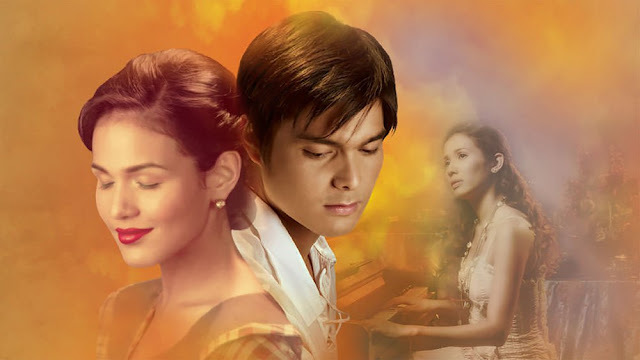 The movie also stars Paolo Contis, Dion Ignacio, Isabel Oli, Sandy Andolong, Ces Quesada, Ian Veneracion, Jojo Alejar, Valerie Concepcion and Ms. Gloria Romero.